Juwayriyah is using Smore newsletters to spread the word online. 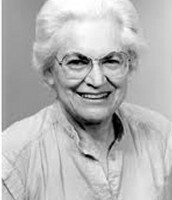 Jane Loevinger was a developmental psychologist who is most well known for developing the Theory of Ego Development. She was born on February 6, 1918 and died on January 4th, 2008. She earned her MA at the University of Minnesota and PhD at the University of California, Berkeley where one of her professors was Erik Erikson. 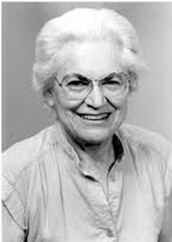 She spent most of her career teaching at the University of Washington. - Focused on gratifying immediate needs. - The Symbiotic stage is where the infant’s ego begins to develop. Grasps the idea of objects and relationship towards caregiver. - If something or someone meets their needs, it is good; if something or someone frustrates their needs, it is bad. - Thinking is very simplistic and dichotomous. - Shame peaks because they are so concerned about approval from their group; consequently, the threat of shame is a powerful tool that groups can use to control individuals at this stage.